Hypstar: How I Make Money By Sharing Videos? Hypstar: The short funny video maker is a social network that is used nowadays for making videos. You can share your daily lives with your friends, family and people from all over the world. It has a lot of cute stickers, funny filters and much more. If you are talented and have good video making abilities then you should give it a chance because you just not only make videos on it but you earn money from it and can withdraw your money anytime, anywhere, anyday but minimum withdrawal money is US$1. You have the points in it called "Flames" so the more followers you have , the more flames you will get and the more likes you get on your videos, the more flames you get so you can checkout your abilities by this short video maker. You can make a 15 seconds video on anything like cooking, acting, drawing, comedy, music and can share it with your followers. Hypstar is the best android app with more than 10 million downloads and a rating of 4.2. Below are the features of Hypstar and you are going to love them as soon as I tell them so have a look! It has a variety of animated stickers and amazing effects that you can add to your videos. Followers will never get bored of your videos so just click and use beautiful stickers. From this app, you can discover a lot of new people and share your videos with them and can learn and increase your video making abilities and moreover you can collaborate with different people and can increase followers by making quality videos. After making your videos on Hypstar you could share your funny videos with your friends using social networking sites like Instagram, Facebook, Twitter and WhatsApp. Target the right viewers and make money. When you are making quality videos and entertaining people with your videos then definitely more people will get to see your videos and in this way you will increase your fan following. You could become a social media celebrity too! 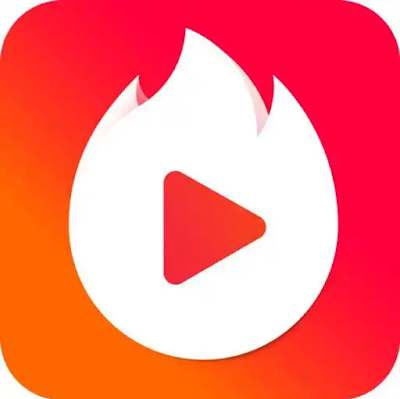 You get flames for making videos and you can also get flames by inviting your friends to the app. 1 video flame is equal to 0.015USD. But the question is how you can withdraw money from Hypstar? Withdrawal method used for it is PayPal. If you have PayPal account then just link your account and withdraw your money. Make sure that you enter correct information and details that only belong to you. Minimum withdrawal money is 1$ if you have atleast 1$ in your account then only you can withdraw it. The good thing is you can withdraw your money anytime but you can't withdraw more than 200USD per calendar day. 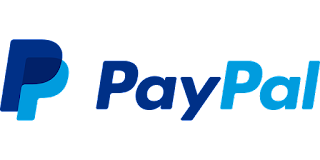 Hypstar will not charge any fee for withdrawing but PayPal may charge, for this visit Paypal website and checkout their transaction fees. Only few of you might know that you can use PayPal in Pakistan! How? You can't create a PayPal account in Pakistan but you can login into a Paypal account from here. Confused? Yes for this you need to have a trusted family member or a friend living in a country where Paypal is verified. You just have to ask him to open a Paypal account for you using his local bank account and whenever you need to withdraw money. Ask him to withdraw using his bank account and transfer you through WesterUnion and that's it. Make your funny videos, share and enjoy! Don't forget to give us your review about the app. If you still have any issues regarding the post then you can comment in the section below I surely will answer.